Longview- This October, Sinbad, ranked by Comedy Central as one of the top 100 standup comedians of all time, will be in Longview making East Texans laugh! Sinbad has built a loyal following by taking audiences’ painful trials or embarrassing tribulations of day-by-day life, throwing them back in their faces, and causing an uproar of comedic hysteria. Sinbad can also make it sound profound without being profane. By being the son of a preacher man he decided to keep his comedy clean after his father attended one of his early performances. Sinbad says that he learned that night that “funny is funny,” and that masters of comedy could all work clean without losing a step. 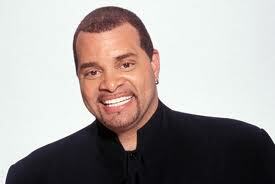 Sinbad will perform at the Belcher Center, located at 2100 S. Mobberly Avenue in Longview, Saturday October 6, at 7:30 p.m. Don’t miss this opportunity to laugh until you cry with one of the best stand up comedians of all time! Palestine- Something amazing has been in the works in Downtown Palestine and now it is time to unveil what East Texas has been waiting for. Denby’s An American Grill, located on Crawford Street next to the Historic Texas Theatre, has been months in the making and will open its doors to the public this Saturday! Book your reservations at Denby’s today and experience what separates East Texas from the rest of the Lone Star State, as the last of the Deep South. Alto- The Central High Home Demonstration Club in Alto is having a fund-raising “Hoedown” Feb. 18, beginning at 2:00p.m. at the Central High Community Center. The Hoedown is part of an effort to raise money to repair the historic building. Help save a piece of East Texas history by celebrating in Alto with plenty of blue grass music and local country gospel artists.